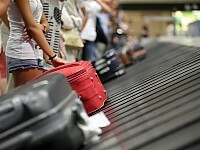 Twenty-six million bags are lost or delayed each year, equivalent to 8.8 pieces of luggage each per 1,000 passengers. The study by Sita, who are worth $2.6 million (�1.9 million) for the airline industry, with $100 per bad. Air France KLM and Airbus are to develop a concept to limit the loss of luggage. While independent companies such as E-lostbag are already working on this issue, today it is the airlines� attempt to resolve the significant loss of luggage. The German airline company has proposed that its customers print a label and equip an RFID chip to track their luggage. In December 2014, Air France KLM will test, in a turn, a system of �tracking� on some frequent travelers. At first, a small screen will be attracted to the handle of the bag: the E-Tag. It will contain all the information of the flight and the passenger. Then, the traveler will connect, via the Flying Blue Account (the loyalty system of Air France), to the E-tag E-track placed on the bag. The sensor is equipped with a GPS system, including GSM and Bluetooth. Before departure, the passenger can check in their luggage. This system allows the fluidizing of the registration process. The traveler will simply drop their suitcase on the counter, nothing more. The aircraft manufacturer, Airbus, has developed a similar project to that of Air France. It has been called Bag2Go that was developed in collaboration with T-System, an IT services company. The weight of the bag, the owner�s name, and details of their flight will be readable when scanned. In addition, the system will detect when the case is opened. The passenger can then know, since its application, when and where their luggage was opened. The Airbus and T-system project was awarded the prize for best collaborative project during �The Night of the Digital Business� IT night 2014. These flowering projects aim to reduce the costs of baggage handling and optimize cargo hold space. 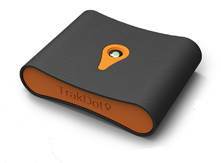 The Trakdot Luggage� device has received overwhelming demand with consumers worldwide. Created by GlobaTrac, LLC , an innovator in low cost tracking solutions, Trakdot Luggage fits into a checked bag, and reports city/airport location in real time to any cellular telephone. As Globatrac, LLC begins preparations to ship the first pre-orders later this month, they have announced that their dealer portal is now live for the Trakdot Luggage� device. As Trakdot gets ready to launch this month. Max Borges Agency is the only 100% Consumer Technology focused PR agency.